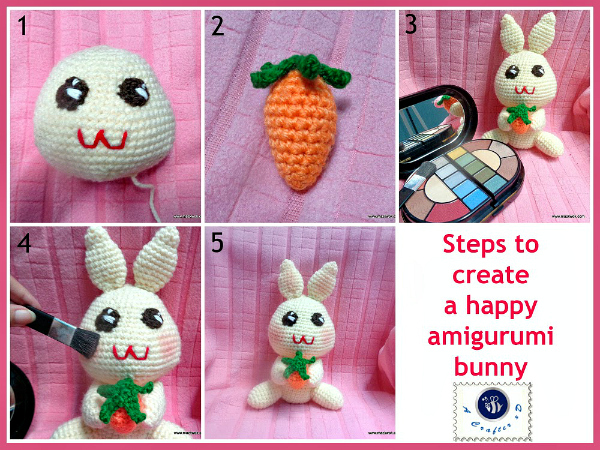 The happy bunny amigurumi crochet pattern was first published in 2012, and revised for a better version in 2014. 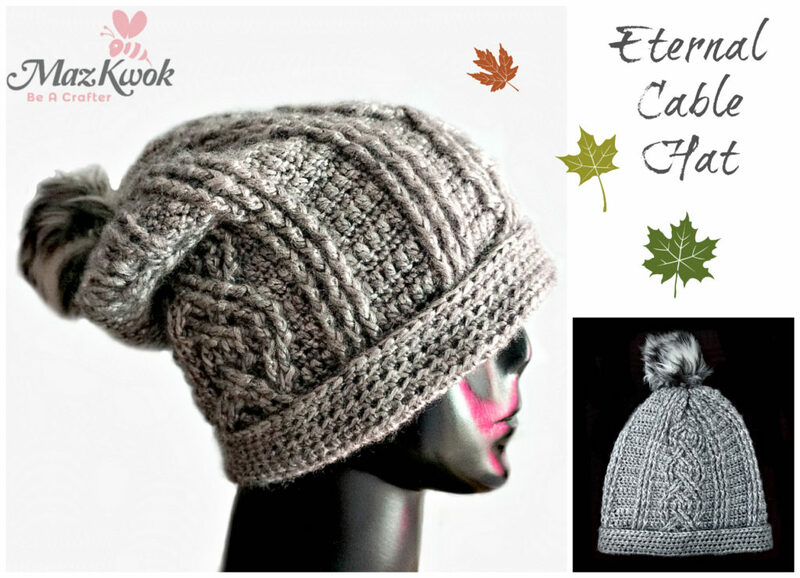 Now I post it here as a free pattern so everyone can enjoy it. 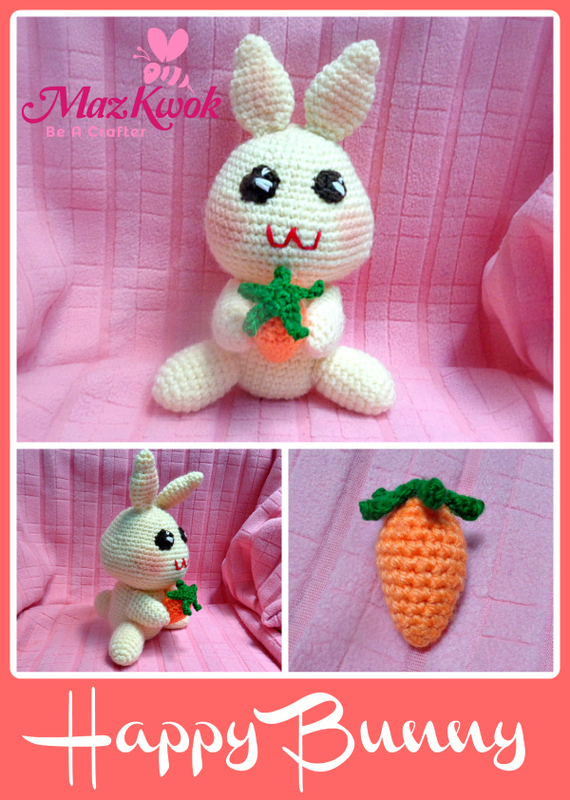 Note: You can use any hook size to make this Happy Bunny Amigurumi, just choose a yarn type that matches. Eyes: (make 2) using dark brown yarn and 3.75mm crochet hook. Attach eyes to the face. Use red floss to embroider mouth (sketch before embroidering) then stuff the head. Attach to the lower side of the body. hook, sc across, sl into 2nd stitch from first chain. ( repeat 5 times). Attach to the top of carrot. Optional: apply pinky blush to inner ears and cheeks. Your bunny is happy now. Cute bunny. Love the carrot. I only wish there was a way to save the pattern so I could make him later. Please use the print friendly button at the bottom of the post. You can save a pdf file for your own use.